He was co-founder of one of the most iconic bands of our time, and is cited by many as one of the most celebrated and influential guitarists in the history of contemporary music. 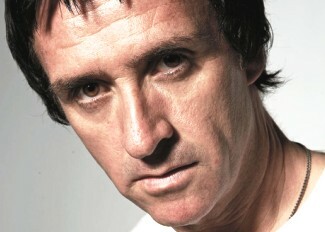 But now Johnny Marr has stepped out from behind the legacy of The Smiths and recorded an album under his own moniker. His debut solo album, "The Messenger", was recorded in Manchester and Berlin, with Marr contributing vocals, guitar and production. It was mastered at Abbey Road by Frank Arkwright who recently collaborated with Marr on the remastering work for The Smiths" box set "Complete". It finds Marr"s vocals leading a sound which mixes elements of angular art-rock, indie and rock "n" roll. Song titles which appear on the album include "The Right Thing Right", "I Want The Heartbeat", "European Me", "Word Starts Attack" and "Upstarts". Based in Portland, Oregon since 2005, Marr returned to the UK to commence work on "The Messenger". "The underlying idea of the record is my experience of growing up in Europe," he explains. "When you"re away from your home city you"re more compelled to write about it, whether that"s because you"re homesick or you"ve got more objectivity, I don"t know. "Growing up in the city influences you, and I"ve continued to see, stories and energy in it." The album represents our first chance to capture Johnny Marr"s musical vision exactly as he envisioned. It was in the early 1980s as the guitarist in The Smiths, with whom he formed a prolific songwriting partnership with Morrissey, that Marr cemented his reputation as an inexhaustible creature of melody. "I"ve almost never played the Smiths records, once they"ve gone out. I was always like that and probably always will be. It was so intense when I made them. "But when I got the original tapes (for remastering) and put them put them up on the machine, they really didn"t need very much done to them at all, so I knew I wasn"t that crazy." The Smiths were formed in early 1982 by Marr and fellow Manchester resident Steven Patrick Morrissey (he had not yet abandoned his first and middle name), an unemployed writer. Marr's jangly Rickenbacker and Fender Telecaster guitar playing became synonymous with the Smiths' sound and proved to be popular among other musicians and has influenced many guitarists that followed particularly in the Britpop era. Marr had aspirations to be a professional football player, and was approached by Nottingham Forest and had trials with Manchester City. "I was good enough for City, but they didn't follow up because I was probably the only player out there wearing eyeliner." Not long into The Smith"s career a legal dispute with Rough Trade delayed their output by almost seven months, and Marr was beginning to feel the stress of the band's exhausting touring and recording schedule. "'Worse for wear' wasn't the half of it: I was extremely ill. By the time the tour actually finished it was all getting a little bit... dangerous. I was just drinking more than I could handle." Marr finally called time on his place in the band in August 1987, going on to add his distinctive sound to many bands, including, more recently, Modest Mouse and The Cribs. Johnny Marr's debut solo album The Messenger is out now.